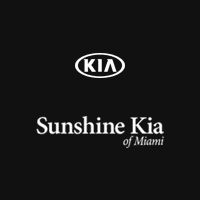 Your vehicle deserves the best, and Sunshine Kia of Miami is here to deliver. Visit our Kia parts center in Miami, Florida to ensure that prime performance is the standard for your Kia model. Our genuine Kia parts deliver manufacturer-certified quality, and the added protection of parts warranties ensures that your vehicle is always covered. Enjoy complete Kia parts solutions, from consultation to installation, from the convenience of our dealership. Every Kia model needs the occasional car parts upgrade to operate at its best, and Sunshine Kia of Miami delivers. Our location in Miami, FL is your hub for Kia accessories and parts that keep you on the move. Whether your vehicle needs a new transmission or HVAC system, our team has a model-specific solution. No need is too big or small, and drivers can count on us for all Kia parts, from a new catalytic convertor to a new battery. Don’t forget to ask about our inventory of performance parts and upgrades, which enable you to customize your vehicle to your heart’s content.